Last week, RDA Hunter held its first Women in STEM Workshop with students from All Saints College – St Peter’s Campus, Maitland. 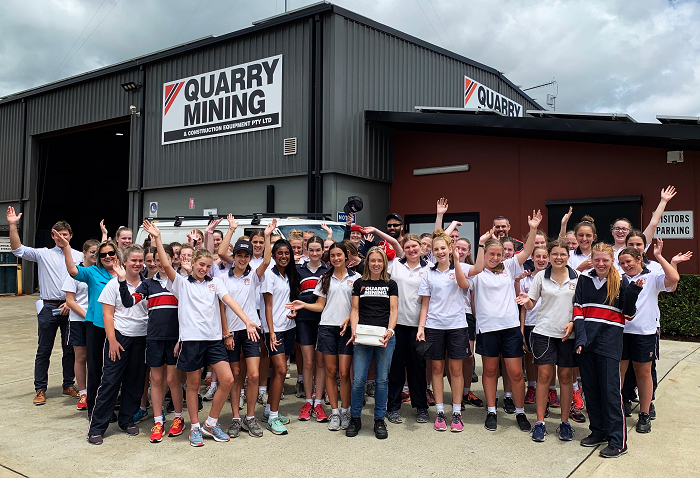 The two-day workshop saw 50 female students in Years 7 – 9 participate in a Women in STEM careers session on Thursday morning before an industry visit at local manufacturing company, Quarry Mining in the afternoon. Day 2 of the workshop was a hands-on drone workshop facilitated by RDA Hunter industry partner, UAVAir. RDA Hunter was pleased to have three influential and inspiring female engineers attend the careers session to share their insights and encourage students to study Science, Technology, Engineering and Mathematics. RDA Hunter’s Women in STEM Project is delivered with support from the NSW Government’s Investing in Women program through the Department of Family and Community Services.